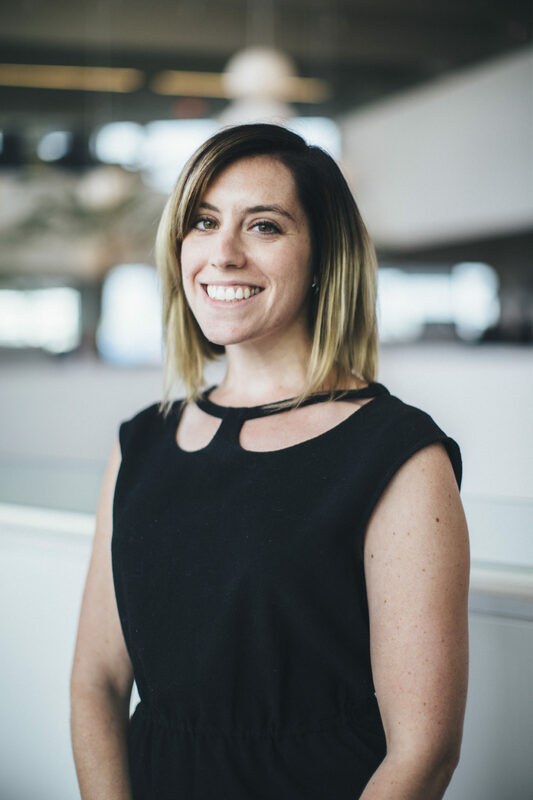 Melissa Mann is the social media and content manager for EF Education First, the world’s largest international education company and #1 Top Place to Work in the Boston Globe’s 2017 list. Melissa got her start as a fashion copywriter and remembers the day Instagram launched—she’s worked in social media ever since. She’ll be sharing her knowledge at the 2018 Social Media Summit on May 11 at Bentley University. Learn more and register here. What prompted you to join EF Education First? I was working in the fashion industry, managing social media for an ecommerce brand and had the wakeup call that I didn’t actually care about fashion. Since studying abroad in college, I’d realized the benefit of travel and felt very strongly about the doors and perspectives it opened. So when I started asking myself what my values were and looking to align my work with something I believed in, travel was the theme. I found EF Education First through a former colleague and once I learned more about what EF stands for—opening the world through education and breaking down barriers through travel, cultural exchange, and language learning—I knew it was the perfect fit for me. Walking in, you can really feel the culture and the passion of the people who work at EF. I haven’t looked back. Do you have a favorite social media campaign? I love seeing what other brands are doing in the social space and there are always a ton of good ideas out there. I really like what Southwest is doing with their “every seat has a story” campaign—it feels a bit like what we’re trying to do at EF with our storytelling and focus on our people. I am also a huge fan girl of Wendy’s on Twitter. They really own their voice and have such a strong personality that actually encourages other brands to pitch in. They’re super fun to watch. What are the most common mistakes – and winning moves – social media managers make? I think one common mistake is trying to retro-fit a channel to a solution. We’re always looking out for “the next big thing” and it’s easy to get wrapped into the craze of “let’s do this on Facebook live!” or “let’s add 5 polls to our Instagram stories!” I think it’s important to be able to take a step back and really identify what the goals are and decide what the best platform is to accomplish those goals. Winning moves are when you can adapt quickly to those changes, however, and leverage them in a way that supports your business. The sooner you can take advantage of updates like customizing your ad creative for Facebook, the sooner you’ll see that ROI. What are the top three skills in demand by your management? For anyone going into social media, I think it’s important to know a little bit about a lot of different areas of marketing. Of course you need to be specialized in social media, but there are a lot of us out there whose roles touch so many different pieces, from acquisition to customer care to email marketing. Having some knowledge in each of those areas will make your role as a social media manager that much easier (while making you more marketable). So that being said, knowing how to run and manage some paid media (in particular, Facebook and Instagram ads) is a huge benefit. Knowledge of analytics and experience with tools like Google Analytics or Moz are also incredibly useful skills to have in your toolbox—bonus points if you can build your own reporting dashboards and make it easier to present that to your stakeholders. Finally, I think it’s super important to be detail-oriented. Social media is big and it’s fast, and it’s easy to make a mistake, like push an Instagram post to the wrong account (been there). Being organized and giving your attention to the small details will help keep you on top of it all. When management just doesn’t get social media, how do you explain it? This is a tough one; I think all social media managers and content producers go through this. I try to focus on the engagement and nurturing piece. Social media ROI can be really difficult to prove, but what you’re really building through social is a loyal, engaged community. Social gives you the opportunity to keep your brand top-of-mind for people (potential customers, e.g.) who are interested in what you have to say. By producing relevant, interesting content that ties back to your brand, your followers will remember (and choose) you when it’s time for them to make a purchase.